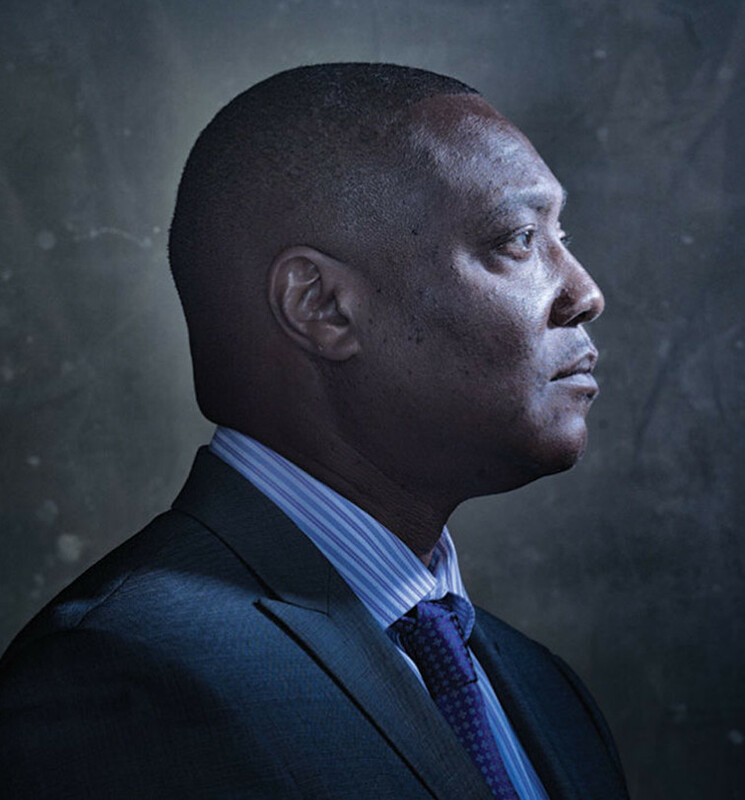 Anthony Graves spent 18 ½ years incarcerated for a murder he knew nothing about. Twelve of those years were spent in hellish conditions on Texas’ Death Row. He was freed and exonerated on October 27, 2010. Today, Anthony brings optimism and his unique perspective to the challenge of reforming our broken criminal justice system. Through multiple execution dates and the challenges of keeping his soul intact, Anthony saw the worst that Texas had to offer. He was railroaded by police officers and Texas Rangers who fabricated evidence, lied in court, and manipulated witnesses. He endured a prosecutor -now disbarred for what a federal court called “egregious prosecutorial misconduct” - who hid evidence, bent the law, and pursued an unjust death sentence. In prison, Anthony reflected on a broken system that allows young men and women to languish under harsh sentences. Every night on Death Row, he planned for the day he’d walk out of prison a free man. He planned to bring change to a system so often unfair to those who come before. He planned for the Anthony Graves Foundation and the good work it is doing today. Please join the Anthony Graves Foundation in fulfilling Anthony’s purpose of creating a criminal justice system that treats people fairly, strives for equality, and respects the humanity of the guilty and innocent alike. The Anthony Graves Foundation Board of Directors is in a growth phase, and as we expand the slots on the Board we welcome interested parties to join the BOD for a 2-year term. While a passion for justice is the #1 requirement, we seek a diverse collection of policy skills on our Board including, but not limited to post-conviction law, forensics, government relations, media relations, non-profit management, fundraising and financial management. Contact will@anthonygravesfoundation.org to express your interest. Will’s top accomplishments are characterized by his ability to locate and focus experts from diverse fields and find a path through legal, structural or political obstacles others have found impenetrable. His work bringing multiagency teams together has resulted in awards and commendations from industry, Members of Congress, the Assistant Secretary of the Army, and the President of the United States. A native of Virginia, schooled at the College of William and Mary, University of Wisconsin-Madison, College of Charleston and Medical University of South Carolina, he has resided in the Washington, DC, metro area since 1998. His work has brought together federal, state, and local governments together with NGOs to solve a range of issues ranging from tracking and enhancing government performance to getting more impact from our military training dollars. From 2015-2016 he stepped away from his consulting practice and served on the minority staff of the Senate Energy and Natural Resources Committee. While the bulk of his technical expertise lies in the energy and environment fields, his criminal justice work on the AGF Advisory Committee informs his work on the Board of Directors at the Anthony Graves Foundation. His skills in strategic communications and his experience as a spokesperson for federal and NGO organizations have resulted in his appearances on international, national and regional TV. Radio interviews of Will have appeared several times on National Public Radio in the United States, on the Canadian Broadcast Company, and on stations in Australia and Europe. Articles about Will’s work have appeared in print in numerous publications in several languages. He has worked with a number of non-profit groups, and served as the Director for Policy for the Man in the Sea Memorial Monument, Executive Director for Eco-Tan - a non profit environmental organization, and served as the Director for Public Affairs for Team 4MIL – a component of the Wounded Warrior Project. Since 1998 he has served as the Principal of W.H. Nuckols Consulting, an environmental policy, government relations and strategic communications company, currently located in National Harbor, Maryland. As of January 1, 2018, Mr. Nuckols takes on the role as Chairman of the Board of Directors. He previously served on the AGF Advisory Board. Patrick F.McCann is an attorney in solo practice in Houston Texas. He has been licensed since 1995. His practice focuses on criminal law at trial, appeal,and post-conviction. He is certified to handle death penalty cases at trial, on direct appeal, and in habeas in state and federal courts. He has handled over fifty death penalty cases at both state and federal levels. Cecelia joined the Anthony Graves Foundation board in 2017. After meeting Anthony in 2016, she volunteered her strategy and communications skills to assist Anthony’s vision for the wrongful convictions work. Passionate about working for criminal justice reform, Cecelia is also active with the Mid-Atlantic Innocence Project and the Center of Wrongful Convictions of Youth. Cecelia is currently a Senior Vice President at SKDKnickerbroker, a public affairs firm. Anna is a digital and social media strategist consulting the world’s largest advertisers while residing in New York City. Her portfolio includes world-renowned brands, Fortune 500 companies, political campaigns and advocacy organizations. Anna utilizes her mass advertising expertise in raising awareness for Anthony Graves Foundation, a mission she firmly believes in. Hailing from Columbus, NC, a small town in the mountains of North Carolina, Anna is passionate about criminal justice reform and securing equal rights for all. She graduated from The University of North Carolina at Chapel Hill with a B.A. in History and a Multimedia degree from the School of Media and Journalism. Saunji has more than 25 years’ experience in the nonprofit sector. Currently, Saunji works at the National Alliance on Mental Illness (NAMI) as the Director of Capacity Building. In her role she is responsible for strategic and high-level planning, management and evaluation of grant funded projects and program activities that advance NAMI’s mission at all levels (national, state and local). Prior to joining NAMI Saunji was a researcher at the Urban Institute’s Center on Nonprofits and Philanthropy where she worked on a number of projects with specific emphasis on strengthening the capacity of nonprofit and government organizations to deliver effective and high quality programs and services. Additionally, Saunji was an organizational development leader at several nonprofit trade associations. In this capacity her work involved developing leadership and management development programs; consulting with senior leadership and management on strategic planning and budgeting activities; and advising senior management teams on process improvement efforts. Education: Ph.D. Virginia Tech, M.P.A. George Mason University, B.A. University of Virginia. Tim Neill is an entrepreneur and strategist with more than 15 years of experience in developing and executing strategic plans that drive rapid growth and margin and improve business performance, brand awareness and market positioning. He helps brands grow their digital marketing by enhancing user experience, establishing e-commerce platforms, and using SEO to optimize their performance and online rankings. With a wide range of clients, the scope of Tim’s expertise has ranged from technology companies in the retail and consumer product field, health care, global consulting, and hosting and cloud markets. As a principal at boutique firms and agencies, Tim has developed strategies and programs for brands that include Marriott International, Tata, NewBrandAnalytics, DuPont Fabros, Tyco, BlueCrossBlueShield, Preferred Hotels, Pew, The Washington Post, Nando’s PERi-PERi, Dr.Dünner, Transpar Group of Companies, mindSHIFT, and CuttingEdge CA. Among other things, he also serves as a board member or advisor to a number of Washington, DC based companies. Colette Victor is the Director of C.H.O.I.C.E.S. She holds a Bachelors degree from Trinity Bible University and is a candidate for her Masters degree. She also has her Counseling Diploma from Light University. Colette has been active in the ministry since 2002. She worked within her Church directing a care community outreach ministry for over five years and has provided counseling through her own ministry. Her focus has been to counsel and work with women and young girls helping them pursue their vocation, calling, purpose, and position in life, helping to instill hope that any person can overcome the past and create a better future for themselves. Carrie Kitay is the Program Director for C.H.O.I.C.E.S. She is responsible for the day to day management and operation of the C.H.O.I.C.E.S. Center. Carrie holds a Doctorate degree in Psychology (Ph.D.) from the Institute of Theology and Christian Therapy and an AA degree in Human Services. As a former Administrator at a battered women’s shelter and as a counselor in private practice, she has provided mediation and counseling, to over 6000 men, women, and children who are survivors of domestic violence, sexual assault, and post-traumatic stress. She has helped women from abusive relationships, failed marriages, and incarceration transition to a safer, healthier, and more productive environment. Bridget Lowell is the chief communications officer and vice president for strategic communications and outreach at Urban. She joined the Urban Institute in 2012, bringing with her more than 15 years of experience across the nonprofit and private sectors, Capitol Hill, and the media industry. Lowell is overseeing an organization-wide effort to boost the visibility and accessibility of Urban’s research with innovative communications strategies, digital platforms and features, and engagement approaches with new audiences. Before joining Urban, Lowell served as director of strategic communications at Change.org, the world’s fastest-growing digital platform for social change. She held the same position at The Nature Conservancy, the world’s leading environmental conservation organization. In this capacity, she was known for her work in media relations, reputation management, and strengthening organizational brand identity. Lowell also worked for nearly five years on Capitol Hill as communications director for a senior member of Congress from North Carolina; during that time, she completed stints for local and national political campaigns. She began her career as an on-air television news reporter, working first at a cable network in New York’s Hudson Valley and later at the ABC affiliate in Winston-Salem, North Carolina. Lowell graduated from Cornell University with a bachelor’s of science degree.